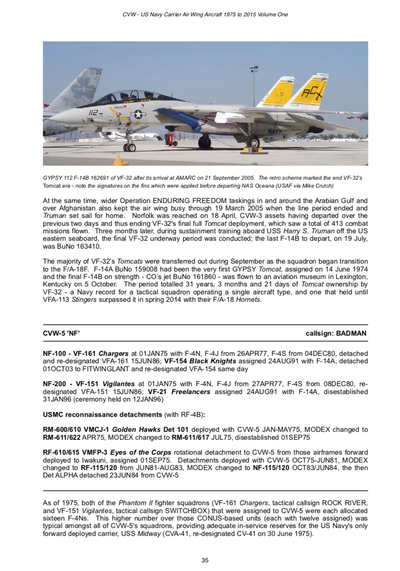 VOLUME ONE IS ON SALE NOW! Over fourteen years of research has culminated in this unprecedented work to publish a wealth of information, some especially declassified, on squadron operations and service histories of every aircraft assigned to a US Navy carrier air wing over a forty year period. 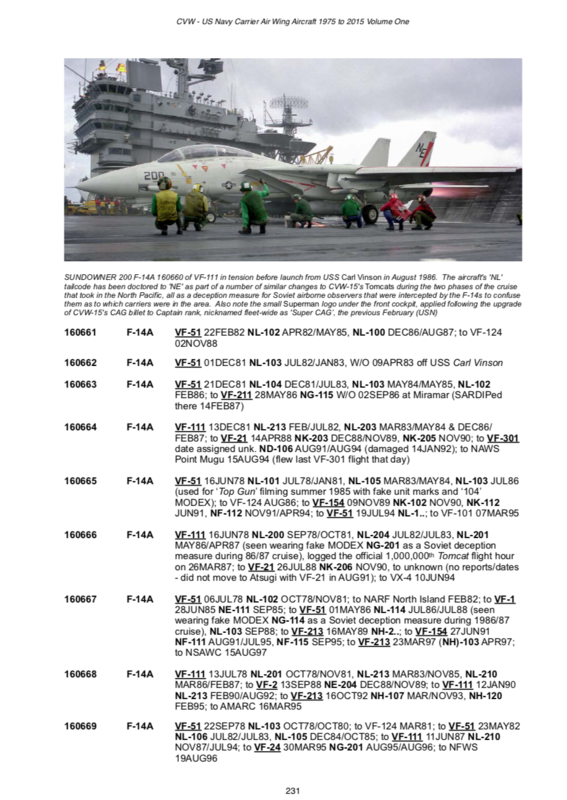 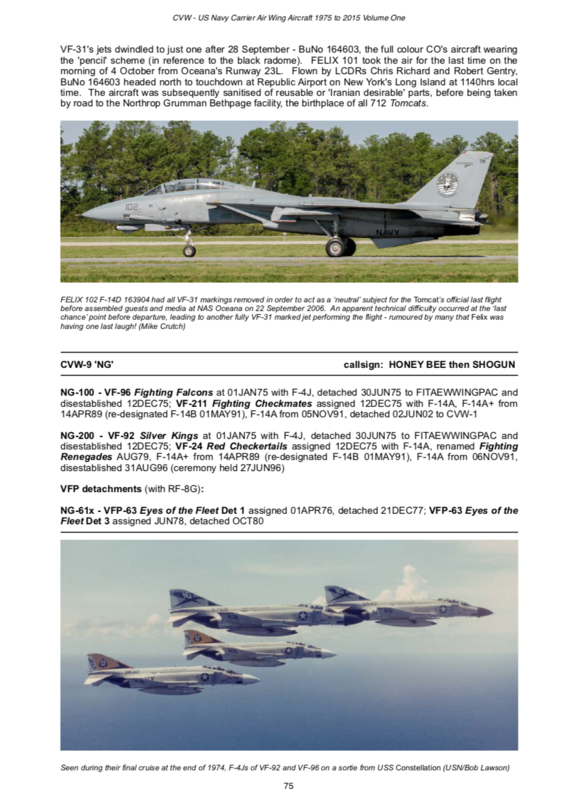 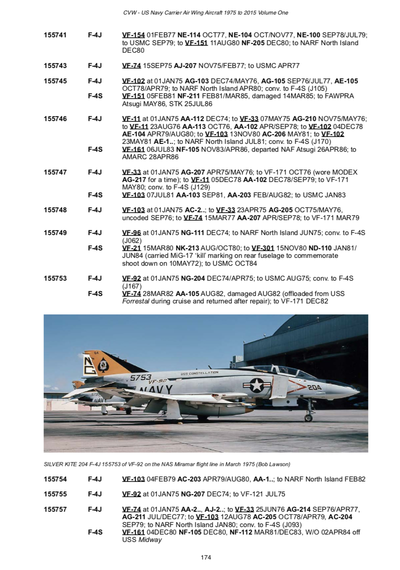 Over a total of four volumes, published in e-book (PDF) format, CVW: US Navy Carrier Air Wing Aircraft 1975-2015 will build into a unique reference source of value to historians, enthusiasts and model makers, as well as those that flew and maintained these aircraft. 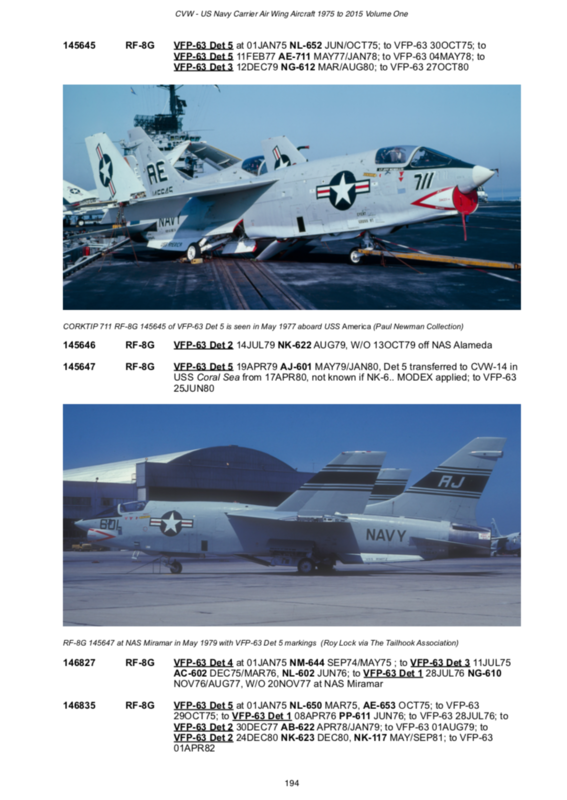 Volume One is on sale now, covering fighter and light photographic squadrons and their aircraft - F-4 Phantom II, F-8 Crusader and F-14 Tomcat. 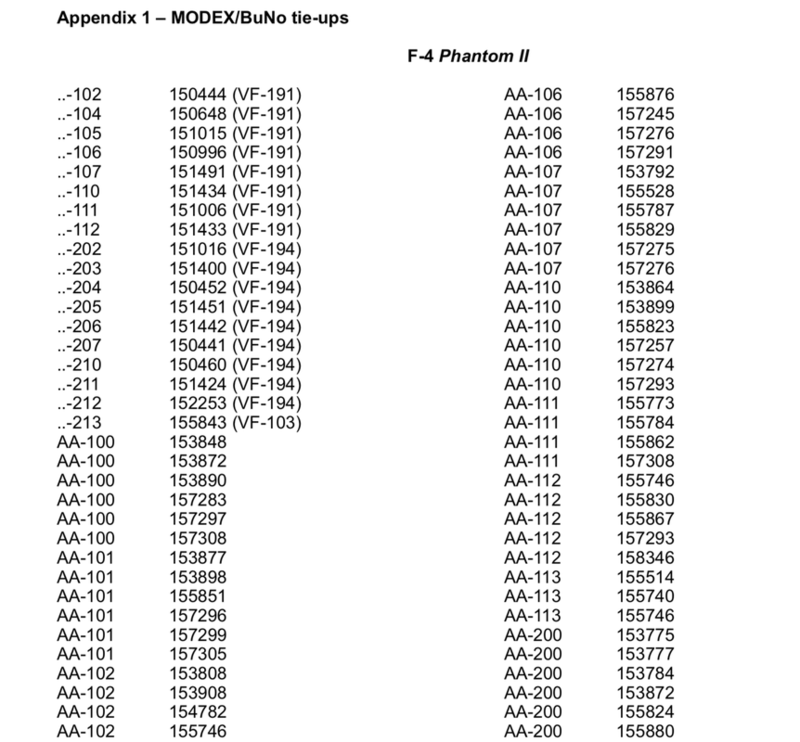 See sample pages below.